In 2014, Debra Newell, 63, from Orange County, met John Meehan online. The two got married in Las Vegas within months of their meeting, and they didn’t sign a prenup. You see, when they tied the knot, Newell did not know that John was a conman who not only lied about his career, but also had a history of swindling wealthy women and drug abuse. It was later that she learned of John’s grim criminal history and began working with a lawyer to draft a postnup. Nevertheless, Newell’s marriage to John ended up costing her over $500,000. If you do marry without a prenup, be sure to get a postnup. Before tying the knot, it’s wise for spouses to set down clear guidelines about property rights, as well as the responsibilities of each person in the event of divorce. 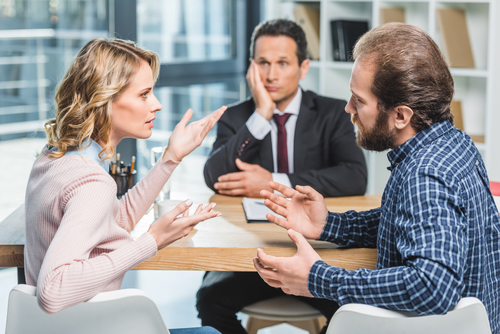 Prenups are legal documents that direct how the couple’s assets are handled and distributed following a divorce, and they cover several important issues. If, for one reason or the other, a couple did not put together a prenup when they got married, they can still enter into a postnuptial agreement to document intentions for their earnings and assets upon divorce. Postnups are legally binding, and just like a prenup, they are used to formalize a couple’s agreement and wishes with regards to which of their assets become marital property and which ones continue to remain individual property upon divorce. It also outlines any other financial obligations that are to be made upon divorce. In spite of how much you love and trust your partner, you need to protect your assets and finances by looking into prenups or postnups. Your agreement should provide a fair split of assets as well as adequate support. A good lawyer can help you find balance in your agreement, while creating a protected, secure future for your marriage.